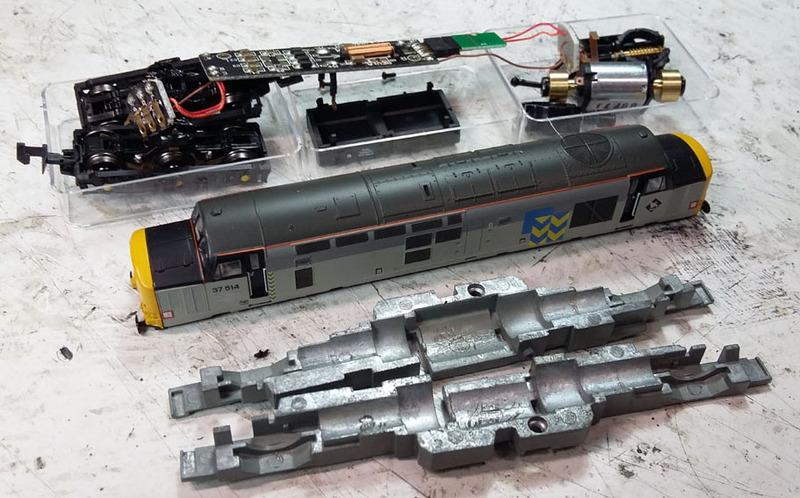 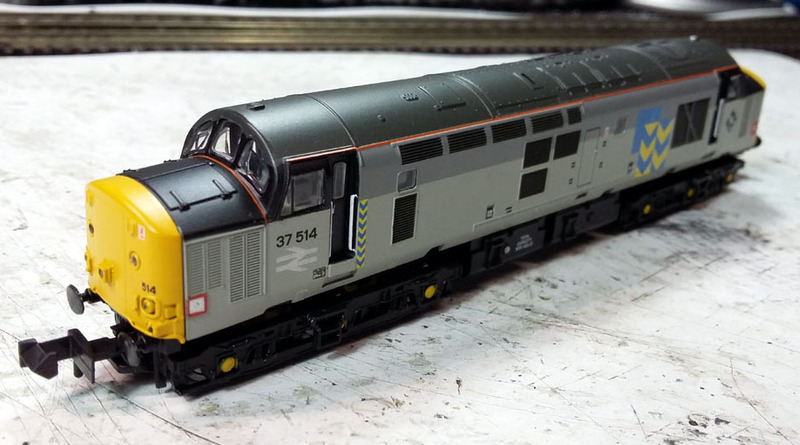 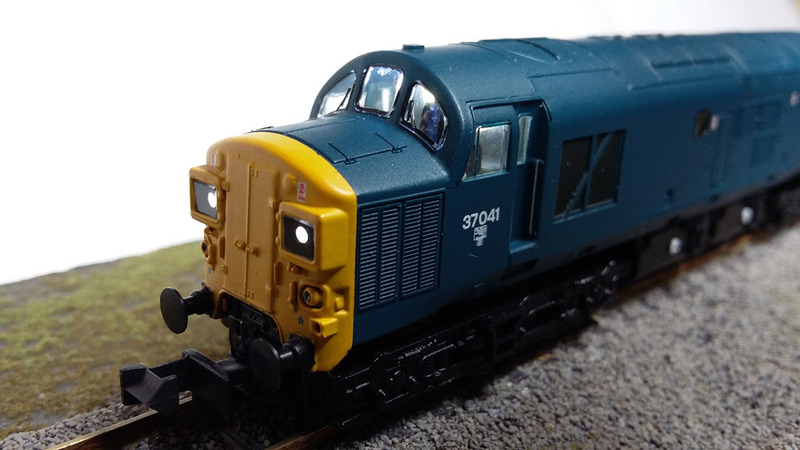 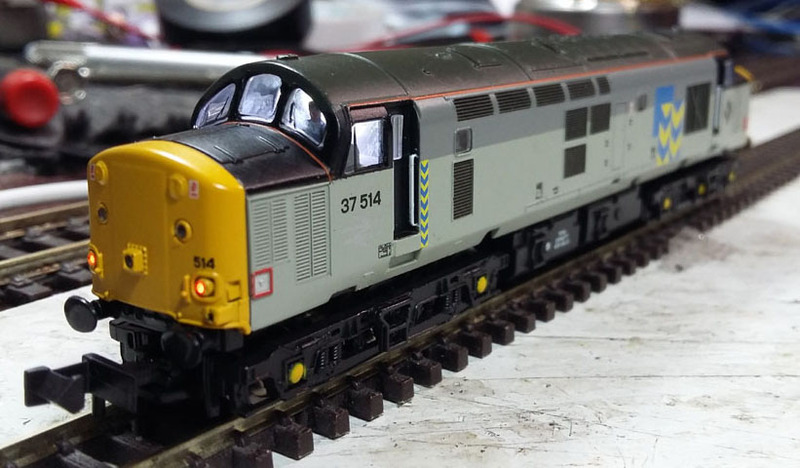 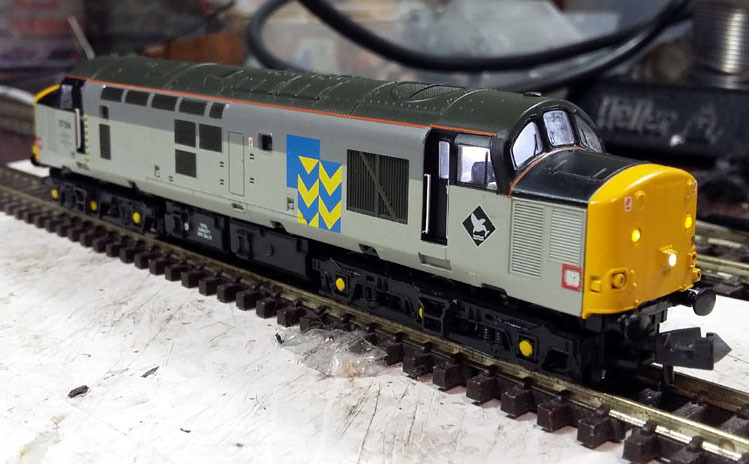 This guide only has a couple of photos showing the Zimo MX648 and SugarCube speaker installed in a Farish N gauge Class 37 diesel. 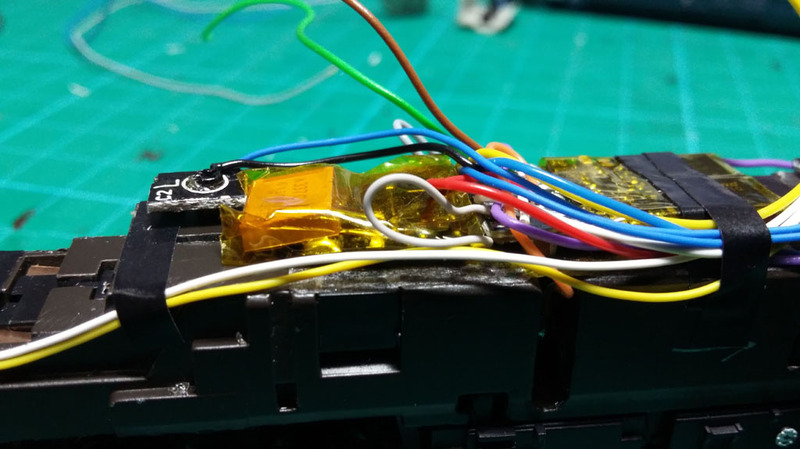 All other instructions are the same as for the longer guide using a CT sound decoder here. 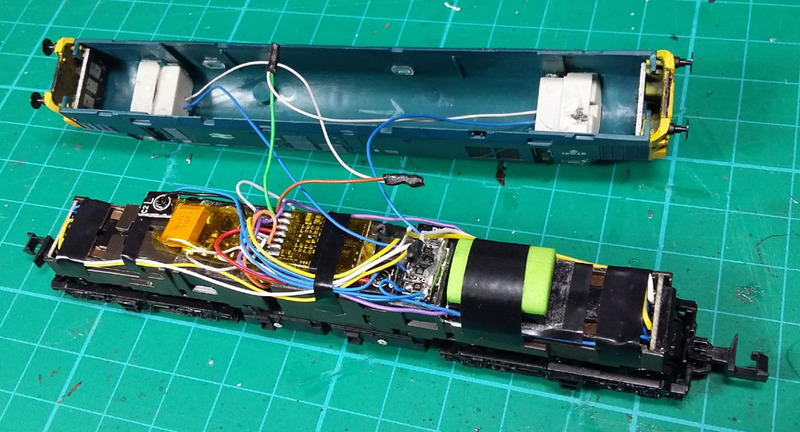 Here is another example, with a simpler installation, factory circuit board still needs removing with lights rewired, but placing a smaller speaker in the fuel tank (less grinding). 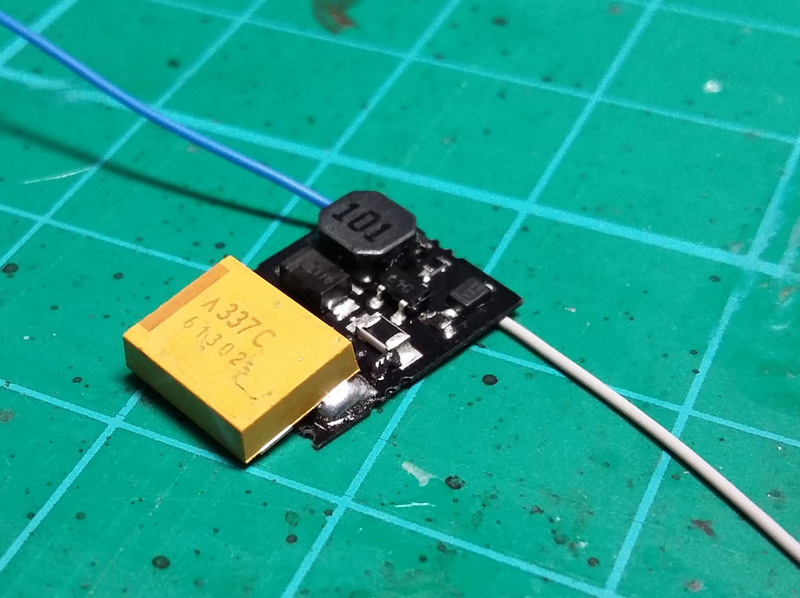 The result is OK with the small speaker, but it is a bit of a compromise compared to the SugarCube/Curve approach. 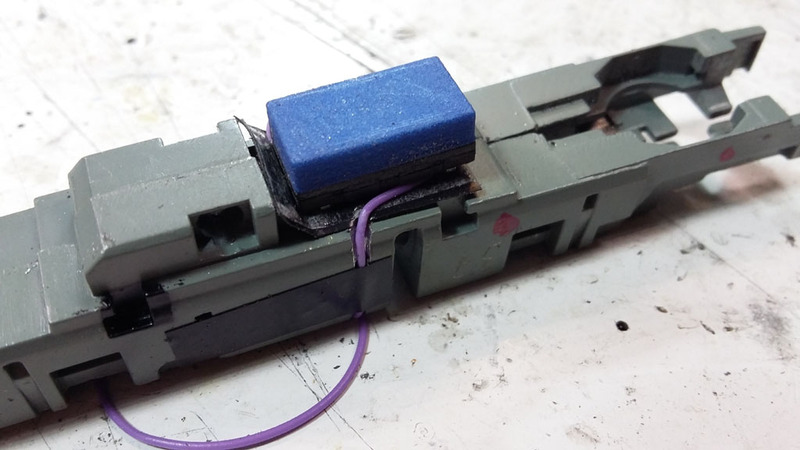 This next approach improves on some previous ideas, and without doubt gives the most effective end result, but with the extra work required to achieve it. 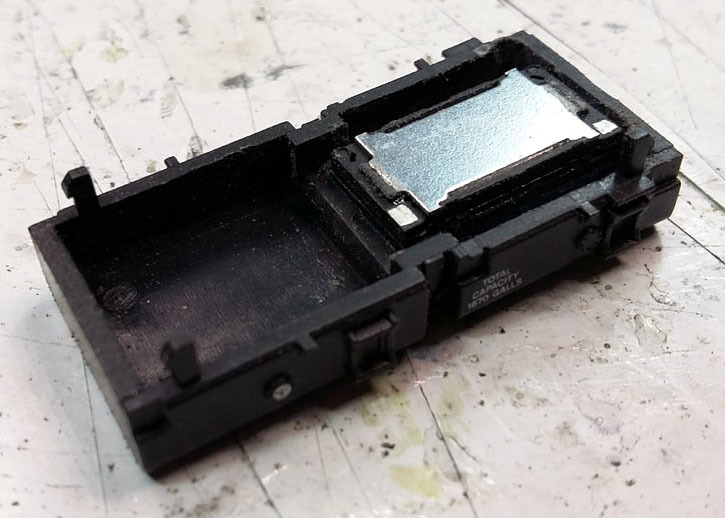 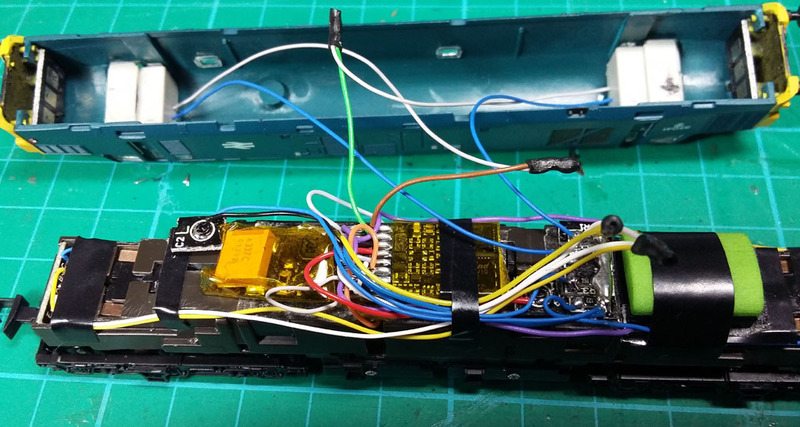 We grind the chassis to make space for the SugarCurve7 speaker, hard-wire a Zimo MX648 sound decoder, recovering with Kapton tape. 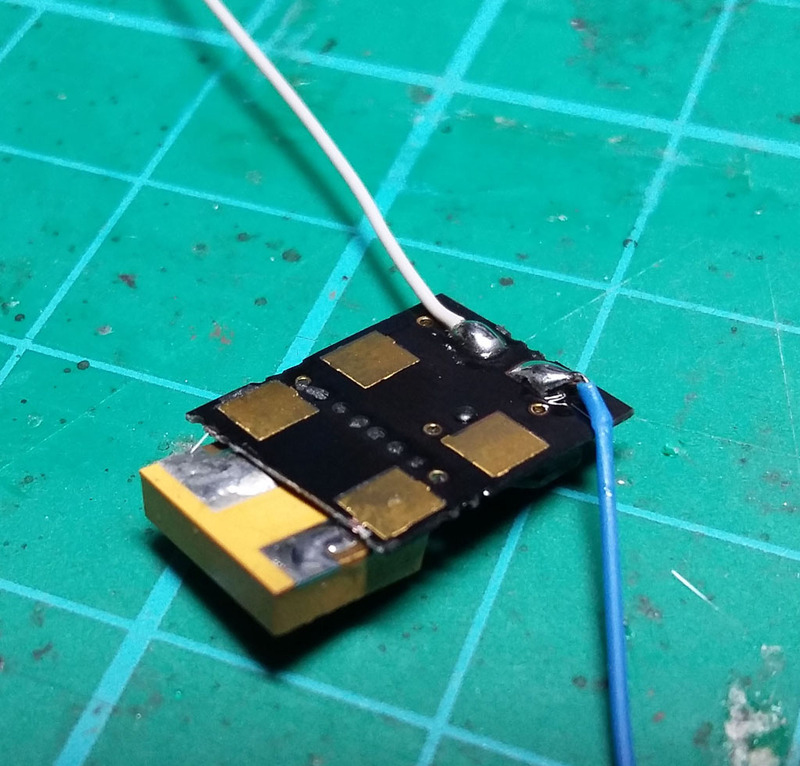 The factory lighting is rewired, via a little resistor PCB which was cut out of the original factory PCB and extra resistors added. 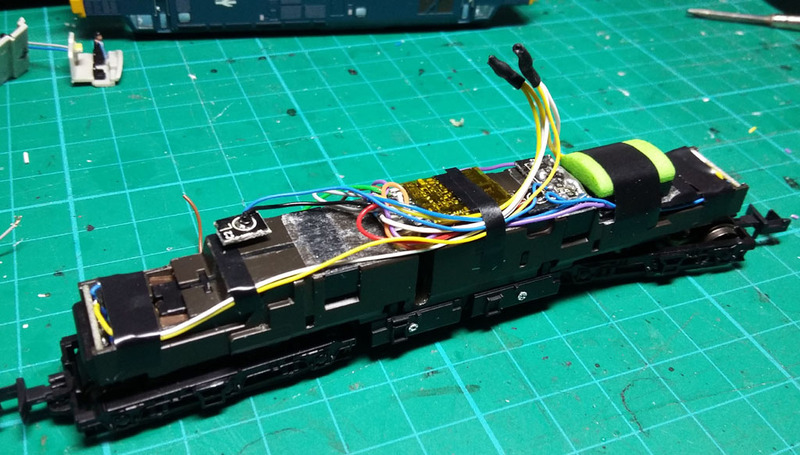 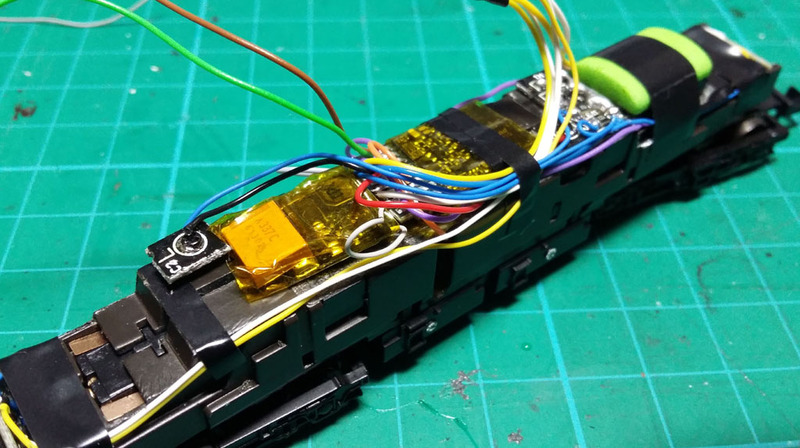 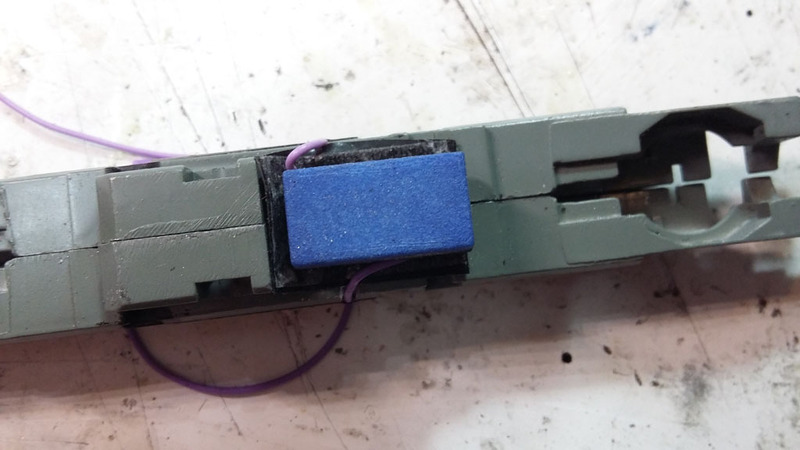 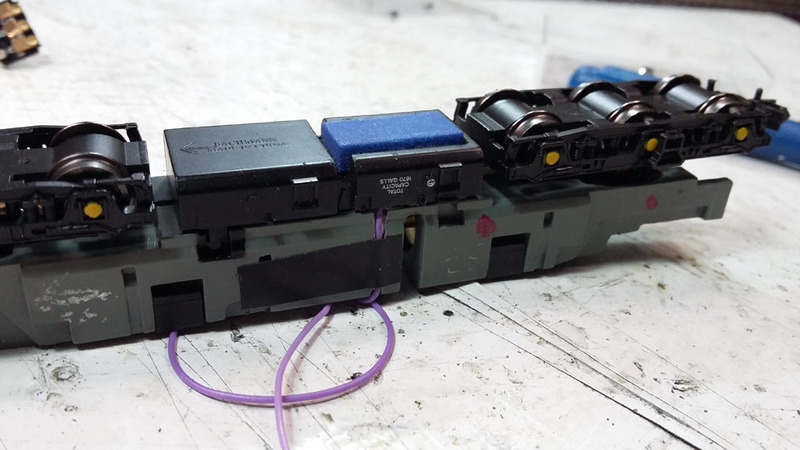 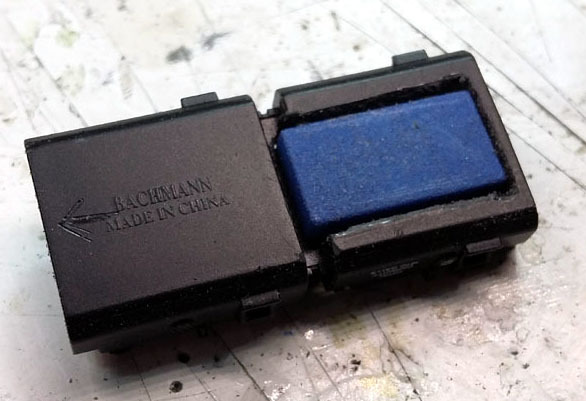 Cab lights and drivers are added in the same fashion as previous examples, but the real difference with this example is the inclusion of the tiny SACC16 stay-alive connection kit, with a single 330uF/16V Tantalum capacitor attached.